Performing music is a thrilling and enriching experience that should be available to anyone who is learning an instrument. 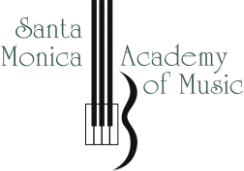 The Santa Monica Academy of music provides all students enrolled in private lessons with the opportunity to participate in our semi-annual recitals. These recitals are popular events at which students share their passion for making music with their friends and family. We hold "junior recitals" for our youngest performers--kindergarten through 2nd grade. These warm, supportive events build confidence and self-esteem through music and lay the foundation for lifelong confident performers. We hold "senior recitals" for students from 3rd grade through high school. We also hold adult recitals and electric guitar student performances!